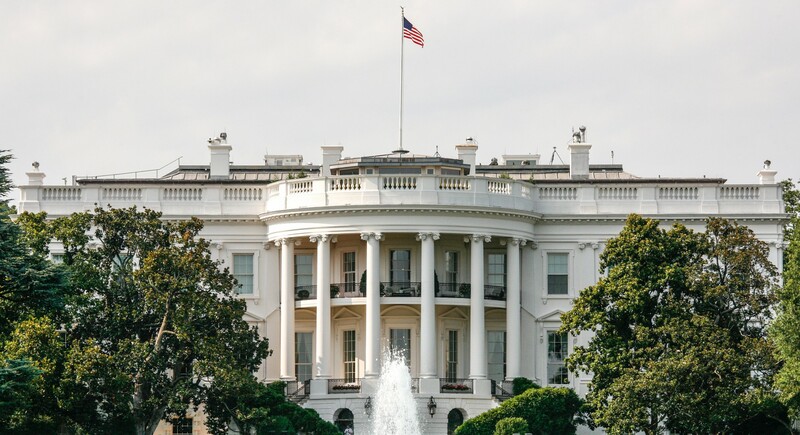 Why Aren’t the Presidential Candidates Talking About Food? Don’t delay offer ends today! Eat like a caveman? Are you out of your #@^&!&g mind? I’m Italian, this Paleo thing isn’t for me”….Trust me when I say that is the “G” rated version of my immediate reaction when I first looked into the paleo diet. I mean really how could I possibly survive without eating pasta, pizza, veal parmigiano and everything else that I was weened on? Well, to my pleasant surprise this Shrimp Scampi recipe doesn’t taste like anything “diet” and is a dish that I have served to my relatives with rave compliments! So enjoy and mangia! Bella Shrimp Scampi Italiano...cooked Paleo. Halve squash, scrape seeds out with fork and discard. Place squash, cut side down, in glass baking dish with one inch of water. Cook roughly 40 minutes, checking half way through. (Squash is done when skin is easily pierced with fork.) Remove from oven and let cool on wire rack, cut side up. Heat oil in skillet over medium low heat. Using kitchen shears, cut legs off shrimp and cut slit down back, but leave shell on. Add garlic and cook, stirring occasionally, until browned. Add wine and lemon juice. Cover and let cook over low a few more minutes. Scrape out squash with fork and divide into two portions, in two bowls. Add shrimp to oil and garlic mixture and cook 2 to 3 minutes, stirring occasionally. Add half of the shrimp to each bowl of spaghetti squash. Top with parsley, fresh pepper to taste and oil from the pan. The WORLD mourns with you tonight as we are all heartbroken. 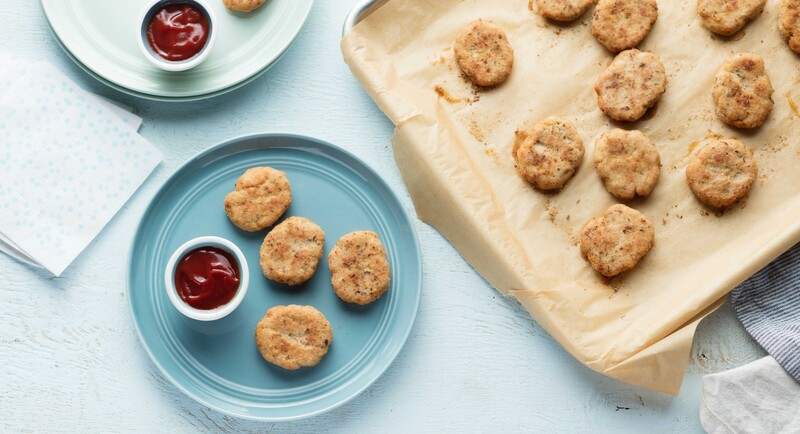 Healthy Happy Meal Chicken Nuggets! What part of the chicken does a “nugget” come from, anyway? When you order the drive-thru version, you can never be sure what’s inside those little patties. Try making this healthified take on the classic Happy Meal treat at home for a lunch that kiddos (and their health-conscious parents) will love. Stir together 1/4 cup coconut flour, ground flaxseed, and 1/4 teaspoon sea salt on medium-sized plate. Set aside. Place ground chicken, egg, remaining 1/4 cup coconut flour, remaining 1 teaspoon sea salt, onion powder, minced garlic, and black pepper together in a large bowl and mix to combine, taking care not to over-mix. Scoop out 1 1/2 tablespoon-sized balls and place on baking sheet. Flatten each ball into a small patty, the shape of a chicken nugget. Dip each nugget into the coconut flour mixture, coating each side, and place back on baking sheet. Bake in oven 15 minutes. Brush each nugget with melted ghee or olive oil and bake for 5 more minutes. Serve warm. I’m certain that there are still some of you who remember the commercial that challenged you to at just one potato chip….well here we go again however, this time with Paleo oven Roasted Mushrooms sprinkled with balsamic vinaigrette. True confession, and not the least bit ashamed, the first time I made these gems I devoured the entire pan myself! So go ahead, I bet you can’t eat just one. A fantastic side dish that just might be the star attraction! Wash mushrooms and pull out stems. Put mushrooms and stems into a medium bowl and toss with 2 tablespoons extra virgin olive oil, salt and fresh ground black pepper. On a baking pan lined with aluminum foil, arrange mushrooms on the pan in a single layer. While mushrooms cook, finely chop fresh thyme, then mix with minced garlic, balsamic vinegar and the rest of the olive oil. After 15 minutes, remove mushrooms from baking pan into the bowl, draining off any liquid that has accumulated while baking. Toss hot mushrooms with the garlic-thyme mixture. Serve hot, sprinkled with chopped fresh parsley i(optional, not required). There’s a reason why everyone—and we mean everyone—is talking about coconut oil these days. From raw foodies, to vegan chefs, to Paleo eaters, the internet is ablaze with rave reviews about this trending ingredient. Even if you’re not a fan of the flavor, we know at least nine other ways to use it. The beauty benefits alone will earn it a new spot in your medicine cabinet. Because coconut oil is ultra-moisturizing, it’s perfect for everything from DIY body scrubs to hair masks. Rub a dollop of it on your skin to see what we mean. It’ll leave you feeling baby-soft, and it’s all-natural, unlike a lot of lotions out there. If loving coconut oil is wrong, we don’t want to be right. Check out a few of the ways we’ve incorporated it into our daily routines. We guarantee you’ll be crushing on it, too. Before you run out to the store to grab a jar, make sure you’re getting only the good stuff. Specifically, you want to make sure coconut oil is organic, ethically sourced, and virgin—like Nutiva’s. The online shopping is offering a FREE jar of high-quality organic virgin coconut oil. Claim your FREE gift today before they’re gone! Time to wake-up those drab and boring carrots with this spicy side, which is sure to steal the show—honey, cinnamon, and ginger bring out the natural sweetness of the carrots, while cumin adds a welcome kick. As the dish slowly simmers on the stove, the sauce reduces into a shiny, flavorful glaze. Place carrots in medium-sized saucepan and cover with water. Add rest of ingredients and bring to a boil over medium heat, uncovered. Turn heat down to low and let simmer until all the water has evaporated and carrots are coated in glaze. Whether you cook with coconut oil yet or not, you’ve probably heard of it. This pure white oil has become a household name for the health-conscious, and it’s popping up in everything from stir-fry recipes to vegan fudge. Coconut oil is the “it” ingredient of the moment. A lot of the buzz around coconut oil comes from its medium-chain triglycerides (MCTs). This type of fat is rapidly metabolized in the liver so it’s immediately available as an energy source; it’s also easier to burn off and harder to store as fat. Some MCTs, like lauric acid, work to keep you healthy by eliminating disease-causing microbes and lowering inflammation. Don’t listen to the conventional wisdom advocating a low fat diet—just opt for high quality, healthy fats, like MCTs. Of course, not all coconut oil is created equal—you’ll want to shop for organic, fair trade, and virgin options. Why? First, virgin coconut oil is the most minimally processed product you can buy. While refined oil comes from dried coconut meat that is bleached and chemically processed, virgin oil is extracted from fresh coconuts. Going organic also ensures the finished product won’t be contaminated by any pesticides or harmful additives. Finally, choose fair trade to ensure all the local farm workers were fairly compensated and ethically treated. An easy way to make sure you’re getting only the highest quality coconut oil on the market? Try Nutiva’s version! For a limited time, Thrive Market is giving all a FREE jar of Nutiva Organic Virgin Coconut Oil. Claim your FREE gift today before they’re gone! And this week’s totally irrelevant question is….NUTS over HANDS! Welcome to the most prestigious and influential (yeah, right) Paleo Polling Place on the internet! Each week we will present a deep and thought provoking (oh, Madonna Mia) question that you can respond to in a completely anonymous manner. It doesn’t cost anything so please feel free to cast your vote. And this week’s totally irrelevant question is…NUTS over HANDS! We have diligently striven to remain politically neutral and have stayed above the fray with regard to the juvenile mud slinging among the candidates for the President of the USA! With that said however, there is one candidate(??) who through his narcissistic and maniacal proclamations has caused us to rethink out position and reach out to our community to inquire….do the size of one’s hands indicate the size of ….um…his manhood?